JJRC H22 3D Inverted Flight 2.4G 4CH 6-Axis Mini RC Quadcopter. 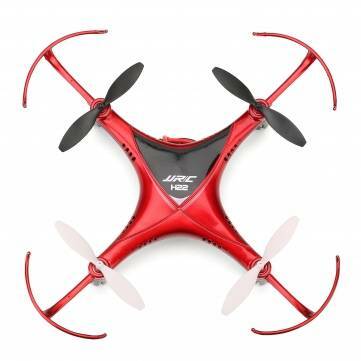 JJRC H22 with Headless Mode,no need to adjust the position of aircraft before flying. H22 has 6-axis gyro which can have more stable flying and be easy to control. One key to return function makes it easily to find the way home.